Spring is officially here and that means the tulip season is almost upon us. 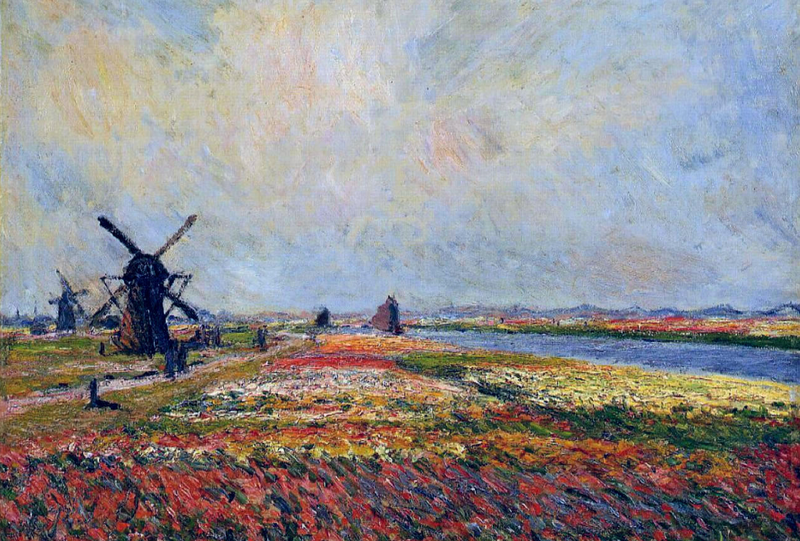 You’ll still need a little patience before the tulip fields are in full bloom, but here are some facts and figures about the Netherlands’ eponymous flower – which actually originated around the Mediterranean. To stop the blooms drooping, push a pin through the stem just under the bloom. This is supposed to stop them growing – which many cut tulips do. A good bunch of tulips will last for well over a week, but beware of those bargain bunches of 50 tulips for five euros… they may well be past their prime. Mind you, we are very fond of the wonderful shapes which tulip petals form once they’ve been in full bloom. Few of the riotous blooms you see in the Netherlands in spring are going to end up in a vase on your sideboard. They are being grown for the bulbs. 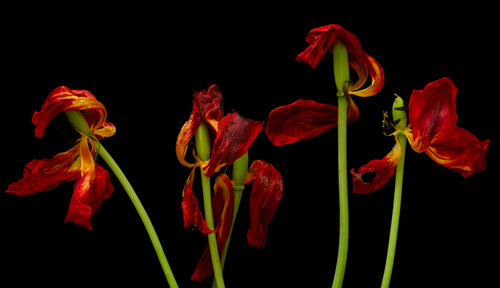 Once the flowers are in full bloom, the heads are stripped off and discarded. The bulbs themselves are harvested by big machines later in the year. Then they are washed and the dried roots and bulblets are removed by hand, a process known as bollen pellen. The bulbs are then graded according to size. Big bulbs are sold and smaller ones kept to plant next year. It takes two to three years for a bulblet to become big enough to sell. This video is a bit long (thank you Tractorspotter) but does show just how highly mechanised and unromantic the process really is. 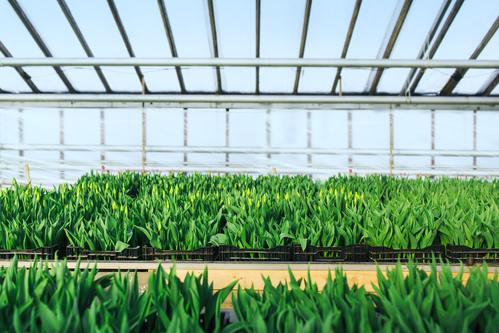 Most of the cut tulips which you buy in shops have been grown in greenhouses. They are first planted in sand boxes and stored in a refrigerated room. Then they are moved into greenhouses to speed up the blooming process. 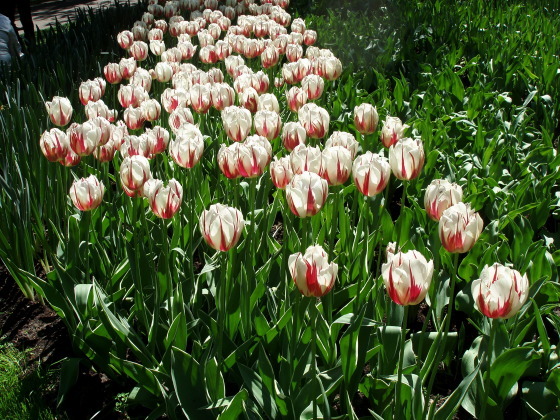 This means growers can ensure a supply of tulips over several months. The craze for tulips – the wackier the flame patterns the better – was satirised by the artists of the time. 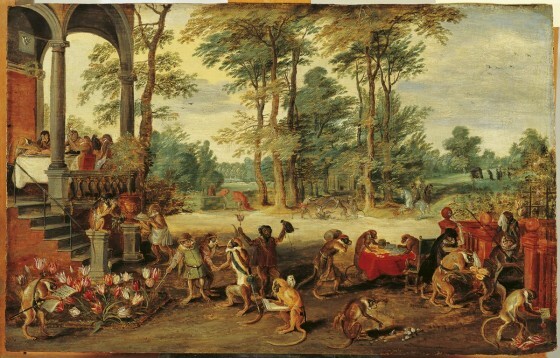 Jan Breughel II, for instance, painted an allegory on Tulipomania which features monkeys as bulb traders going about their business. To the right, one of the speculator monkeys is hauled up in front of the magistrates while another pees on his stock of Semper Augustus, presumably already made worthless by the crash. The painting is on show at the Frans Halsmuseum in Haarlem. Vincent van Gogh, as we know, preferred sunflowers. He did have a reddish-brown tulip named after him last year by the Keukenhof when his work was that year’s theme. The Keukenhof, which opened for the 2016 season last week, came into being in 1950 when local bulb growers and exporters decided they wanted a showcase for their varieties. The park proved to be an instant hit. Now in its 67th year, the Keukenhof is a major tourist attraction and attracted a record 1,175,000 visitors last year. Every year the Keukenhof displays are centred around a specific theme. This year it’s the Golden Age. Museum De Zwarte Tulp is in Lisse where much of the bulb action takes place and is housed in an old bollenschuur, the sheds where tulip bulbs were processed and stored. Amsterdam has a tulip museum next to a cheese museum and we think both are simply an excuse to sell stuff to tourists. From 20–24 April, it’s Corsoweek in the Bollenstreek – the area south of Haarlem where bulb growing is concentrated. The floral procession between Noordwijk and Haarlem takes place on April 23. Throughout April, Amsterdam has its own tulip festival. If you can’t get enough of tulips, Haarlem’s Frans Hals museum (with all the great paintings), local brewery Jopenkerk and the Keukenhof are working together on a Tulpomania tour, which runs until May 16. This entry was posted in Uncategorized on April 12, 2016 by europeansinthenetherlands.